UPDATE: The whole thing is available thanks to NPR. NPR is seriously amazing. 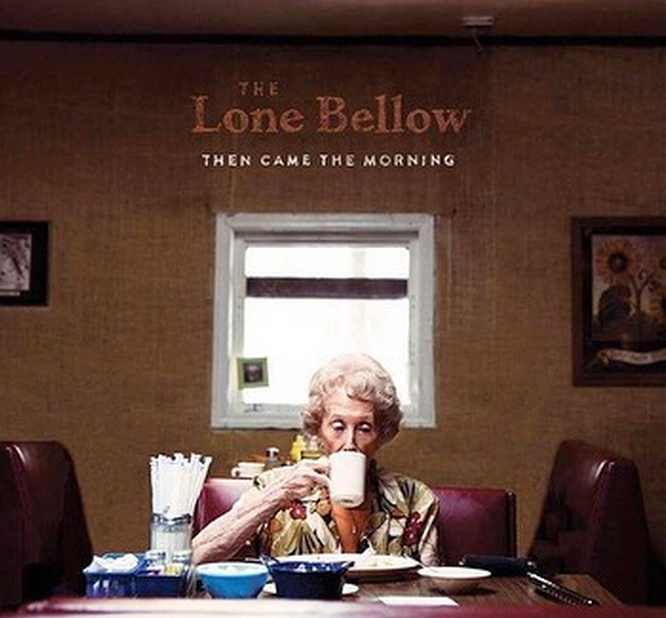 When and what: “Then Came The Morning” is The Lone Bellow’s second studio album. It’s coming out on January 27th. Who they are: The Lone Bellow is a Brooklyn-based trio of transplanted Southerners who absolutely crushed it on their debut album almost two years ago to the day. Zach Williams is typically the lead singer, though vocal harmonies are the single most important element of what The Long Bellow does. They’re best described as indie folk but there are strong elements of gospel and country in some if not most of their songs. Their formula is to rock out loudest right before the last refrain. Aaron Dessner (The National) produced their latest effort. What we have to go on: Three singles, including the title track, “Fake Roses,” and “Cold As It Is” and a solid clip online of a fourth song, “Watch Over Us.” Also a few Instagram clips of other songs with lyrics. I was lucky enough to be there when they debuted “Then Came The Morning” live. There were some issues with the sound system so I was glad to see how good the studio result was. Other live versions I’ve seen since haven’t had the same issue. What to expect: The trio seems to be heading more in the direction of shorter songs, though there’s no indication that it’s in an effort to be more commercial. The three singles they’ve released so far aren’t quite as strong as the best three off their debut album, but they’re still above average as a whole. None of the songs I’ve heard full versions of have the energy of “Green Eyes and a Heart of Gold” or “Bleeding Out” from their last album, which is something that worries me just a bit. Hopefully something we haven’t seen yet will fill that role. The role of the slower ballad and swinging number have both already been filled exquisitely.